Hello Everyone!! 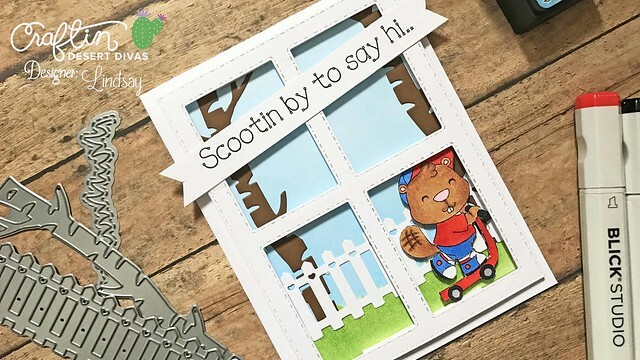 It's Lindsay from the DT here with you today, sharing a fun Hello card featuring a newly released digital stamp from Craftin Desert Divas and some fun dies as well! If you want to watch the process of how exactly this card was put together you can watch the full video tutorial below! ENJOY!! As always I began in Photoshop Elements, and after measuring the opening rectangle in the Window Pane Die (1.5" x 2.25") I created a new blank project of the same size. 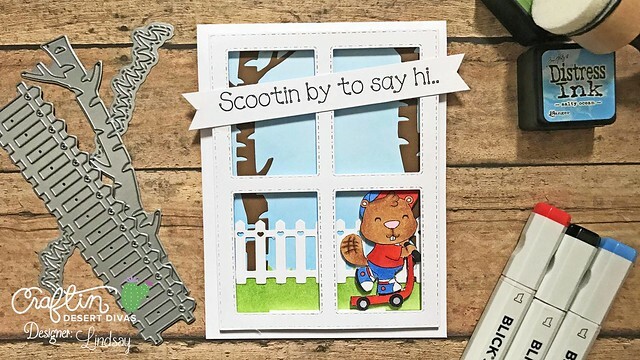 I then brought in the image from the "Scootin By" Digital Stamp Set and sized it to fit the panel. Finally, I printed off the image and also the sentiment using my laser printer, colored in the image with my alcohol marker, and finished up by fussy cutting out the little guy. 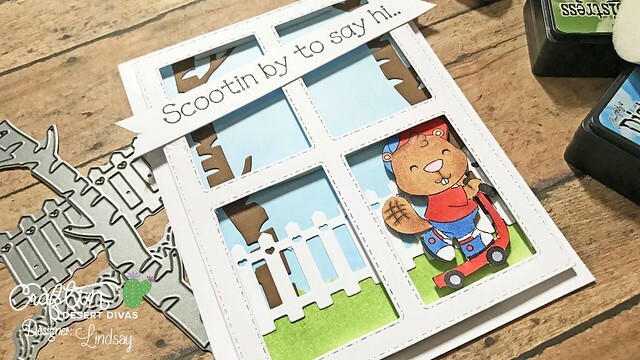 I decided to do all of my die cutting at one time, so I pulled out my Big Kick and using white card stock I cut the Window Pane die, the Picket Fence and Grass Border from the Outdoor Landscape 2 Dies, and also the tree die from the same die set from brown card stock. Using both the top and bottom of the grass die cut, I Distress Inked up a blue sky and green grass to create a little scene. To put everything together I used glossy accents to first put the tree die cuts on both the left and right side of the background panel and also the white picket fence over those. Finally, I popped up the little critter in the right bottom corner and then popped up the Window Pane Die Cut to complete the scene. To complete the entire card I adhered the pane onto an A2 top folding white card base and then the sentiment banner to the pane with double sided adhesive. I absolutely love all the new digis that have been popping up in the Craftin Desert Divas shop, I just wish there were more hours in my day to use them all! If you want to check out all the newly release images, be sure to head over to the CDD Shop and take a peek! 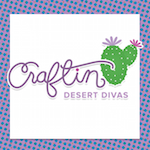 And if you are interested in any of the Craftin Desert Divas products I used on my card today, they are all linked up below! Until next time, Happy Crafting! Adorable scene, Lindsay! What a cute little beaver.